Una Vida Para Cristo: Meet the Patrol! This afternoon, we finally took possession of our new vehicle, a 1997 Nissan Patrol Y60. I know, I know. It's not a Land Cruiser. I told you that you'd be surprised. From the very beginning of our vehicle search, the Nissan Patrol has been on our short list, along with 4 Toyota models. 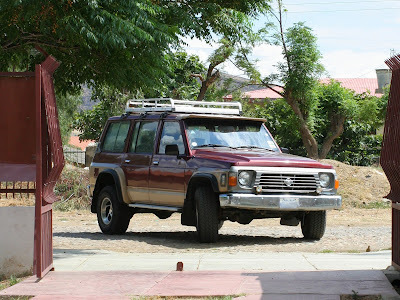 In the past six months, I had narrowed our search to the 80-series Land Cruisers, mostly based on personal preference. They are fantastic vehicles and I would still love to own one. However, I just haven't been able to find one with what we want for less than $20,000! That's a lot of money to spend on a 15 year old vehicle, even though it is one of the stoutest in the world. 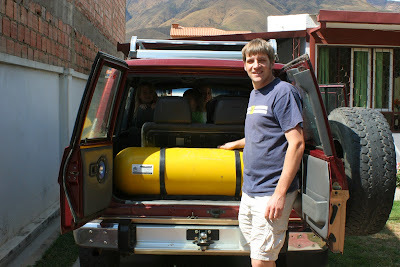 This Patrol belonged to friends and coworkers of ours here in Cochabamba. They recently decided to get a newer, smaller vehicle that was more suited to their needs. They offered up the Patrol for a price that we would be crazy to refuse! The remaining money in our vehicle fund will be used for upgrades and future repairs. Besides not being a Toyota, it's also not a diesel. 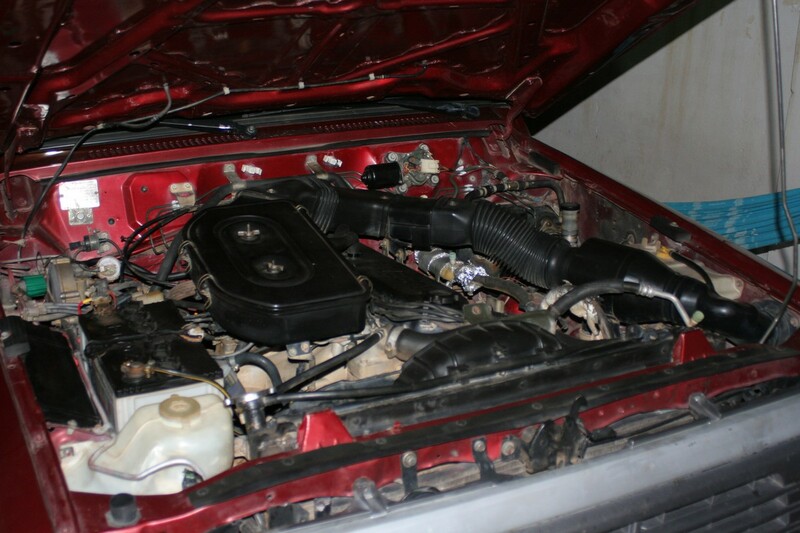 It has a 4.2 liter TB42 straight-6 gasoline engine that has been converted to use vehicular natural gas! Natural gas is incredibly cheap to run here. The problem is that it lacks the power of gasoline or diesel and eventually starts to eat the engine. We're not quite sure what we're going to do about that down the road (diesel swap, maybe? ), but for now, we'll enjoy the benefit of cheap fuel! The girls love it. Addi's big thought for the day was, "We don't have to ride in taxis anymore!" 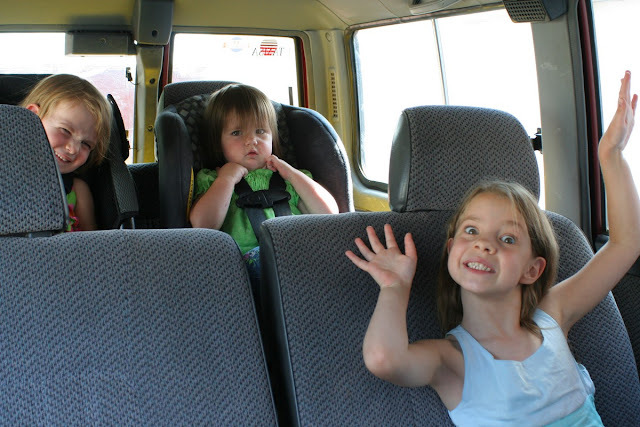 She and Lydia love having car seats, something Lydia doesn't even remember. Kaylee is glad to be able to go places without (average) a child and 2 bags on her lap. I think Anne appreciates the freedom of riding by the window, by herself. I'm just glad for something to drive! We just want to say a huge THANK YOU!! to everyone who made this possible. 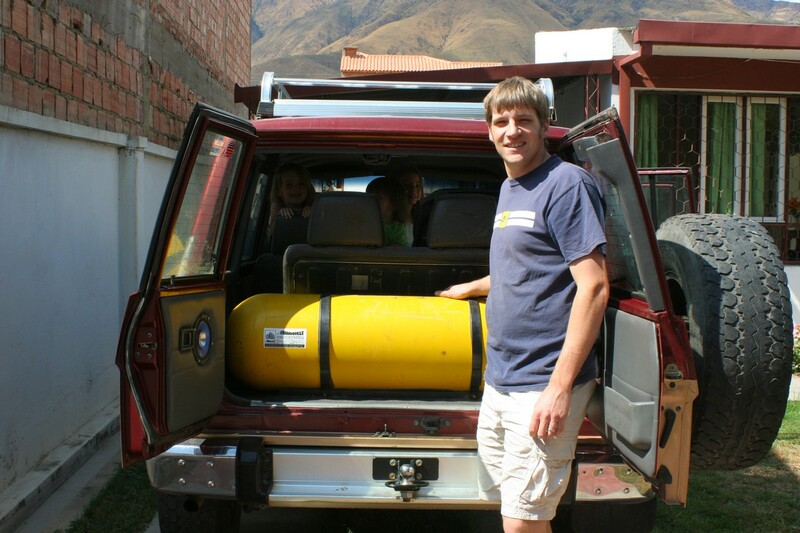 Because of your prayer and financial gifts over the past year, we now have the ability to get around much easier. Our kids are safer. We will waste less time (waiting for taxis). We can be more flexible. After almost 2 years without our own transportation, it is truly a blessing.